Many businesses see social media marketing as an alternative online marketing strategy – or as just a way to supplement their SEO and content marketing strategies. However, it’s more than just that – social marketing has grown to the point where content marketing depends on it – and vice versa. It’s a symbiotic relationship – like peanut butter and jelly! Sure, you could eat just peanut butter on bread or jelly on bread, but they become much more effective when combined (we can just say that the bread in this metaphor is your website. As far as the type of bread is concerned, well that’s just down to personal preference). Now, there are many social media networks out there, but one you absolutely need to take advantage of is Twitter. Twitter is an essential social channel for engaging with your consumers. Not only is the channel of an easy and effective way to communicate directly with your customers, it’s also a fantastic way to draw attention to your brand and increase its exposure. Yes, you could say this about any number of other social channels – but very few can boast 270 million active users. 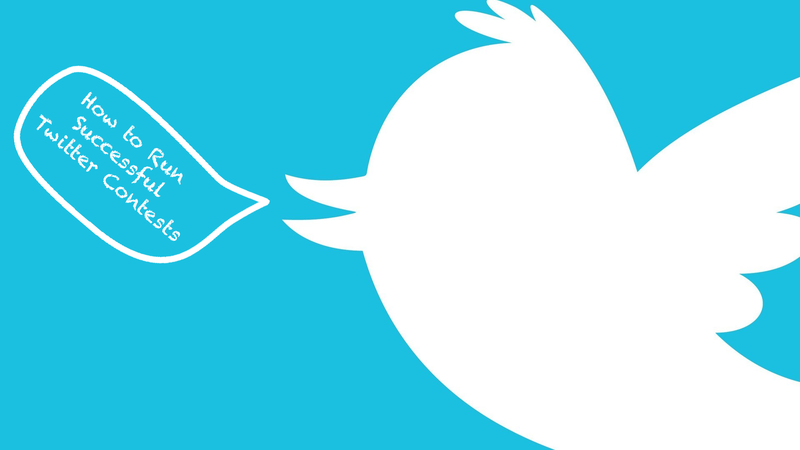 Twitter has more than 270 million active users now. What might be even more relevant is that the average user follows at least five businesses on Twitter – and a third buy from at least one of the brands that they follow. These stats speak volumes about the impact that Twitter can have – but this is only if you use Twitter effectively. 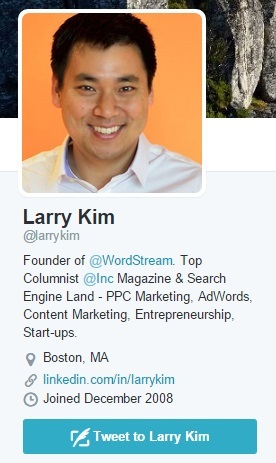 Your Twitter profile gives you a chance to write a sentence or two underneath your profile picture. This bio should inform Twitter users about what you do, what your goal is and why they should follow you. Don’t be afraid to be a little witty! You see, whenever I stumbled upon someone post that I like on Twitter, the first thing I’ll do is to visit his or her Twitter page just to read up their biography. I’m not sure this happens to you but most of the time, it is their biography that help me to decide whether I want to follow them or not. 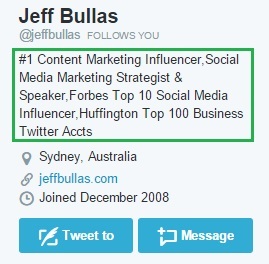 Just like how Jeff Bullas nailed it. Bear this in mind when someone pay a visit to your Twitter page and the instant way for them to get to know you more is by reading your bio. They need to know who you are, what do you do and whether you have the same interests as them. So, if you can craft an impressive bio about yourself (be truthful about yourself and avoid braggy stuff), you’re definitely on the right track to attract more followers. Nobody is going to trust a Twitter handle that has no picture. Use a picture of you to represent your brand instead of just a company logo – this will make your company much more relatable to followers instead of making it appear like a faceless corporation. Also, make sure you’re using a professional photograph and that you’re smiling! A smiley face tends to drive more followers someone with a grumpy face. Just like how Larry did it – always gives a friendly look and kindly smile. 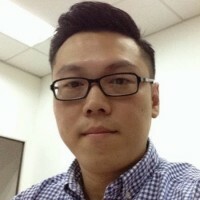 You can use a background image behind your picture and bio – so make sure you use an image that is relevant and unique (and horizontal, since this will fit better). If it is for your very own personal blog, you may want to use a certain tool or to pay up someone from Fiverr to create a unique header for you. A creative and unique header by Huffington Post. A summary card with a large image will tend to get higher social engagement. The thing about Twitter is that it’s a very text-heavy social channel – it’s all about posting comments that are 140 characters or less, after all. However, Twitter has a feature called Twitter cards that let you create a more media-rich experience for users who retweet your content. Basically, there are four types of Twitter cards available, all of which provide marketers with a lot of opportunities either on the web or on the mobile platforms. If you’re interested to find out how you can set up for each card individually then click on their respective links below. Twitter Chats are organized conversations involving a group of Twitter users. These Twitter Chats have their own hashtags to make them easy to find. You can find relevant Twitter Chats by checking out lists on Tweetreports or Tweetchat. By providing valuable comments in these chat groups, you can garner interest for your brand. Just make sure you’re contributing in a meaningful way and not just trying to push your brand. 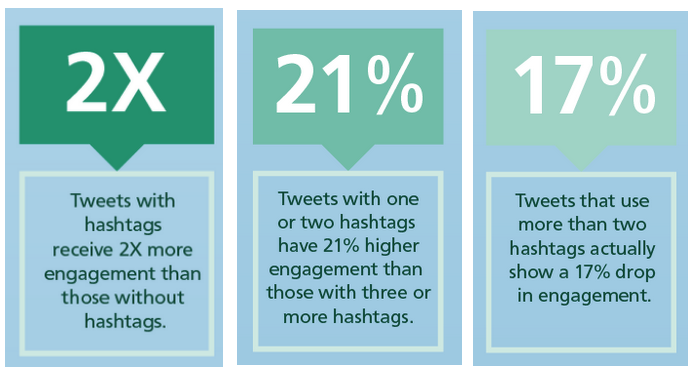 Tweets with the right and relevant hashtags will receive 2X more engagement than those without. 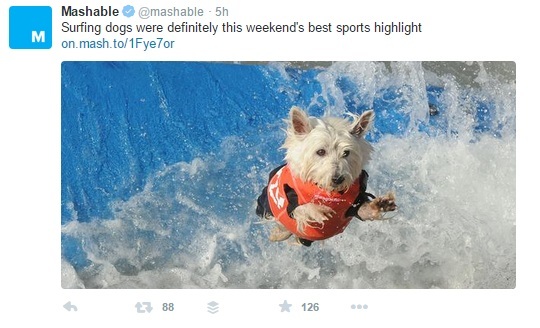 Whenever you post a tweet, make sure that you add relevant hashtags. 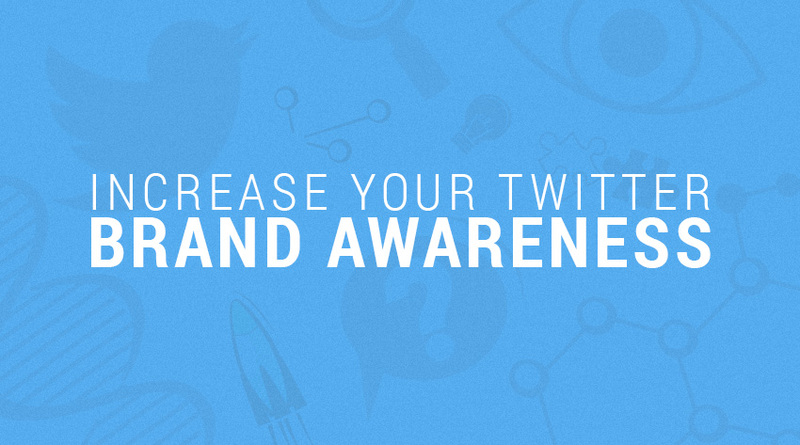 By doing this, you’ll immediately get your tweet indexed by Twitter, making it searchable by other Twitter users. 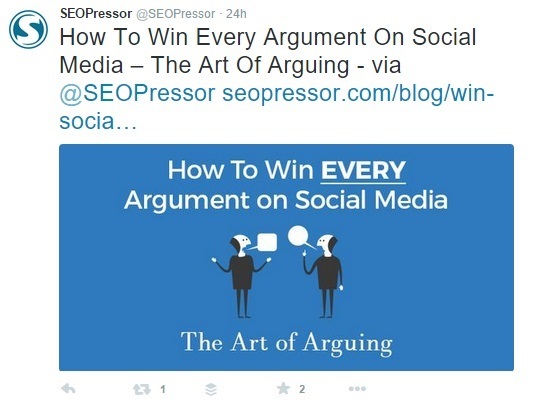 Basically, you’re optimizing your tweet for Twitter search. If you’re interested to find out more on how to search for the right hashtags that’s suitable for your business, you can check out our latest Twitter guide below. It comes with lots of good examples and insights which you can pick it up and to use it immediately. Download The Definitive Guide To Hashtag Insights Now! Tweeting needs to be done regularly throughout the day and throughout the week. Since you no doubt don’t have the time to just sit in front of your Twitter feed all day long preparing different tweets, consider using something like Buffer to schedule your tweets. This allows you to compose your tweets ahead of time, then have them automatically posted according to the schedule you’ve set. 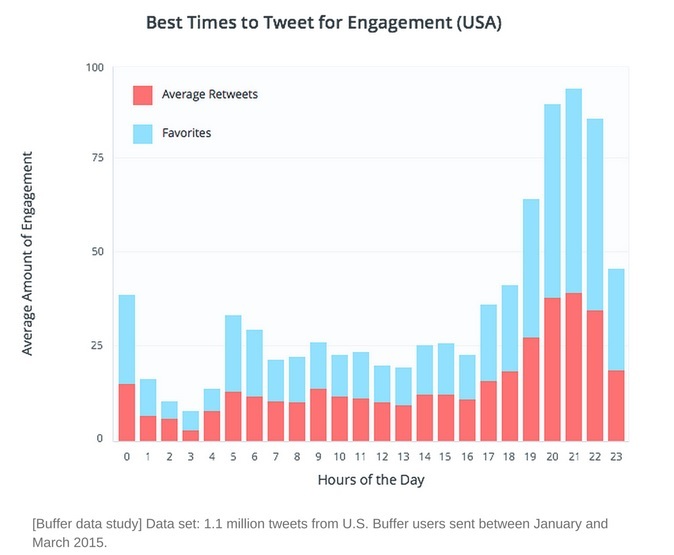 Tweets that were sent out at 9 p.m. in the U.S. earn the most retweets and favorites on average. The highest number of retweets and favorites occur between 7 p.m. to 10 p.m. The engagement will start to drop after midnight hours with the lowest retweets at 3 a.m. If you’re interested to find out more about other popular times you can tweet in Europe, Asia, or Australia, you can check out the best time to tweet worldwide. 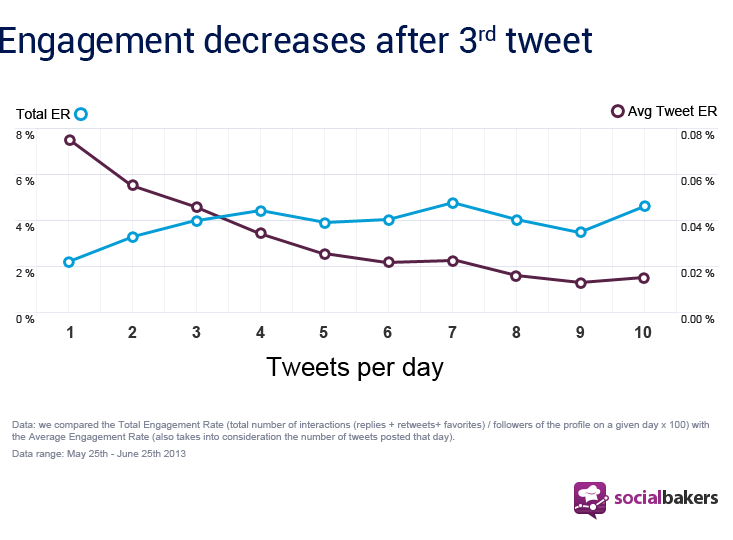 Although you don’t want to tweet too much within a given period of time, you do want to tweet relatively frequently. Just space your posts out appropriately using your scheduling tool. It is always good to know that tweeting consistently is the only way to ensure that followers don’t forget about your brand. If you only tweet once a week, your followers will not only get bored with following you, they may even forget about you altogether. Tips: So here is a pretty good advice to most small business owners out there, it is always recommended to tweet at least 3 times per day in order to see big improvements on the social engagement. According to a study by Social Bakers, they took the time to analyze the performance of 11,000 tweets from global brands and found out that there is a decline after the 3rd tweet. However, you don’t have to necessary follow this formula, you can always tweet between 3 – 5 times and make sure you don’t post too many tweets within a short space of time. This will come across like you’re spamming your followers. The last thing you want to do is annoy your Twitter followers! One of the best ways to get more followers is by getting some of the influencers to share your posts. I bet you’ll probably ask – how is that even possible? Well, let me tell you it can be done. First of all you need to identify the influencers within your industry. Follow them and read all their blog posts and then retweet all their posts (it will be better if you can mention them in the tweet). You see, the more you retweet their posts the better it is because they will know you’re one of their top followers who always likes and retweet their posts. Immediately you’ll gain more credibility for linking to their established sites and you’ll establish a relationship with those influencers. And who knows maybe one day they might just follow you back, read some of your posts and sending traffic back to you. The other benefits of retweeting influencers’ posts is that the more you retweet of those quality stuff, the more quality followers you will gain through the connection and engagement you’ve created from the posts. As you can see from the chart above, Beehove, a social media analytics company has done a study while analyzing 36 million Twitter profiles and 28 billion tweets and found out that there is a significant correlation between the the tweet frequency and twitter followers. 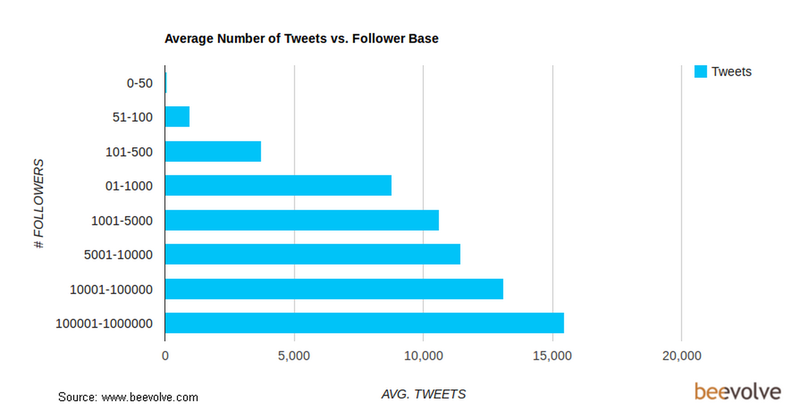 Users who tweeted between 1 to 1,000 tweets would have an average of 51 to 100 twitter followers. 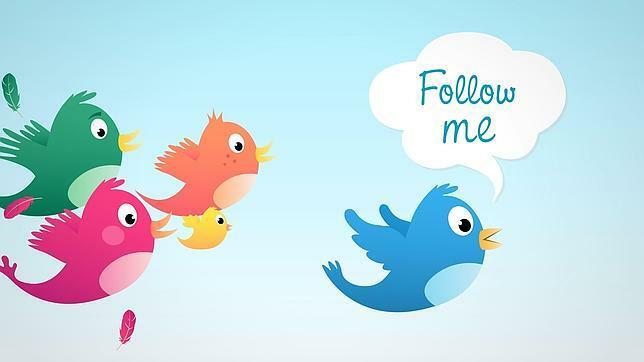 Users who tweeted more than 10,000 times would have an average of 1,000 to 5,000 twitter followers. And for those who tweeted more than 15,000 times would have an average of 100,000 to 1 million twitter followers. So after looking at some of these statistics, I hope you’re convinced that it is always advisable to start reading and tweeting what your influencers are posting. This doesn’t just refer to the influencers – share content that your followers post as well (as long as it’s relevant to your brand). This gives a good impression to your followers that you actually care about what they have to say. Source: Constant Contact and CMB Consumer Pulse Research. As you can see from the chart above, it shows that 50% of Twitter users are more likely to buy from a brand after following them. So the next time when you’re about to share some of your followers’ posts, don’t just hit the share button and hope that other people to read. It is always advisable if you can put in some of your thoughts and give in some of your personal perspective so that people will be more likely to read what you’ve retweeted and eventually become your followers as well. The more your posts are retweeted, the more exposure they will get. So how do you do this? Well, besides focusing on posting tweets that are relevant and informative, try asking your followers to retweet. 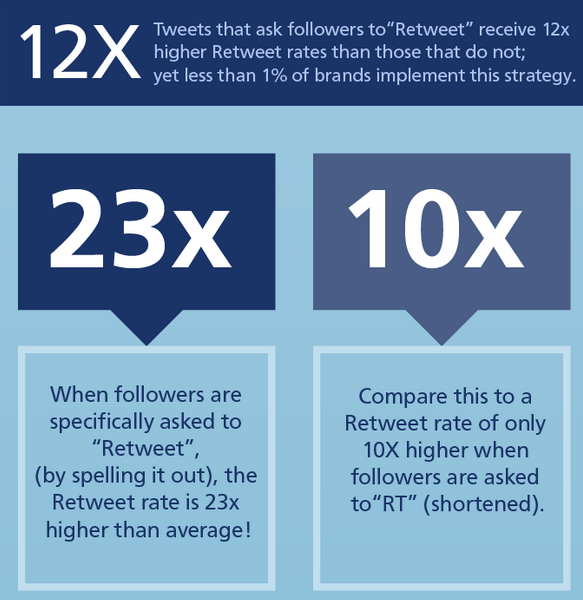 Studies have shown that by simply asking for a retweet, you can increase your retweets by upwards of four times. Many of your followers will be more than happy to do so – just don’t ask every time you post a new tweet. 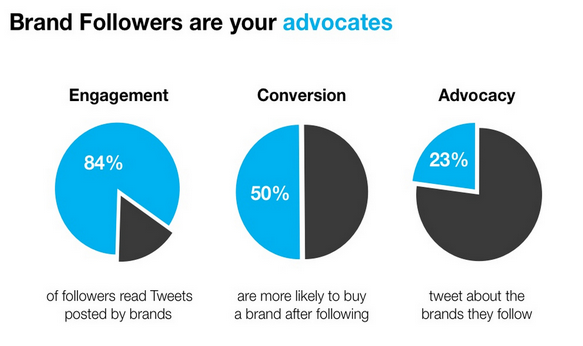 Followers are going to be more engaged with your brand on Twitter if you give them a reason to be engaged. This can only be done by creating good content that is both informative and helpful to your audience. Just like how we did here at SEOPressor. 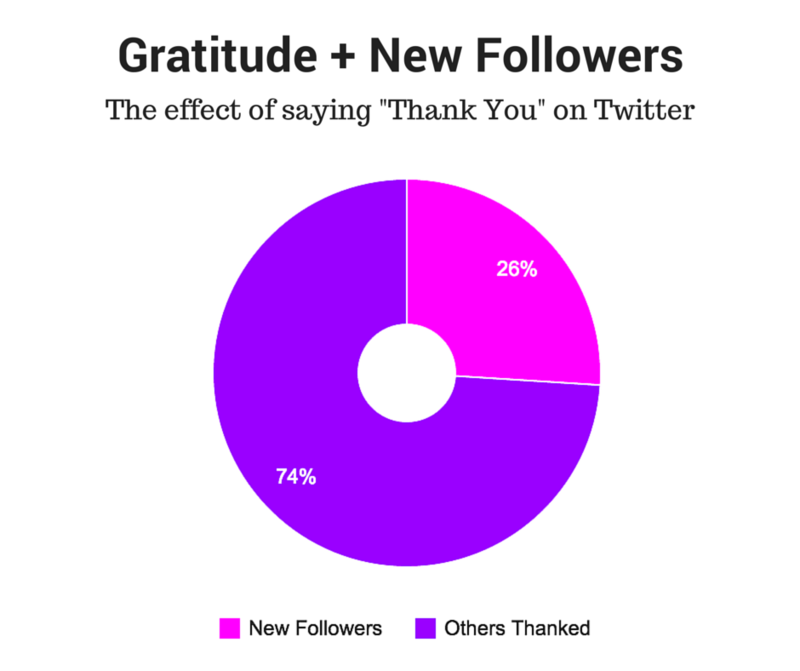 Say “thank you” to those who share your content and you will have higher chance of them following you back. Be sure to thank followers that engage with you in order to build trust and establish a relationship – as well as to encourage others to engage with you as well. If someone follows you, it means that they are trying to make a good connection with you. So it is always advisable to follow them back as well. Besides, we also recommend favoriting people that have retweeted your tweets as well. It’s a small gesture, but it’s one that’s appreciated. Following industry leaders is a good way to being introducing them to your brand. Look through their follower lists to find other authorities within your industry. There’s a chance that by following them, they will eventually follow you – especially if you engage with their tweets in a meaningful way. Just remember to keep the number of people you’re following less than the number of people that are following you. Otherwise, you become a follower and not a leader – not a reputation you want within your industry. The first thing you should do when you first log on to Twitter is to check your notifications. This will let you know what you’ve missed while you were away, such as who has followed you, who has retweeted any of your tweets and more. You can increase brand awareness by engaging with other brands and users by offering insightful comments on their content. As always, don’t just post anything for the sake of getting your brand name out there – this is a good way to hurt your reputation and won’t do you any good with actually increasing your followers. People love taking part in contests since it usually means there is a prize involved. It also means that this is a great way to engage with followers, increase product awareness and increase your follower base. They are easy to hold as well. You could simply hold a sweepstakes, which is a great way to grow your followers (a sweepstakes would require them to follow you in order to participate), you could do a simple question and answer in which the first follower to answer wins, you could do a creative answer spin on the Q and A contest or you could do a photo contest. 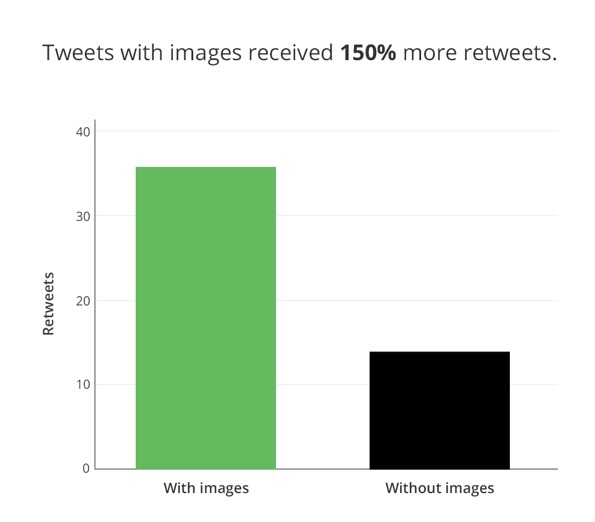 Source: Buffer – Tweets with images will get more retweets. Unique and powerful images are going to stand out in the sea of text that is Twitter, so use them to your advantage by including them in your posts in order to improve your share rate and boost engagement. Keep track of your most popular tweets. After some time has passed, take some of those popular tweets and reword them. It should draw a similar amount of engagement the second time around. 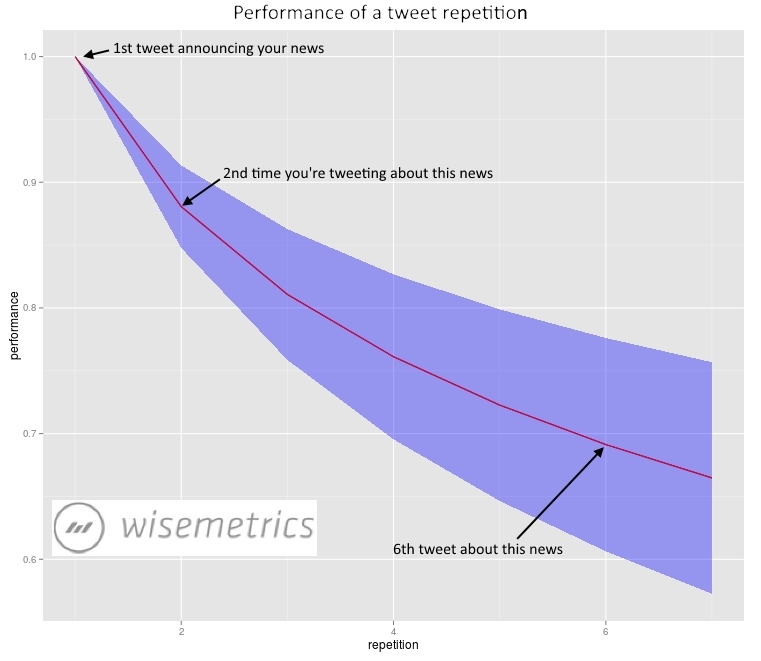 According to a study by Wisemetrics, they found out that repeating a tweet will get you 86% as much performance as the initial tweet. They also said that when you repeat your tweet, only 14% of your audience will see your tweet for the second time. So, that means it is always advisable to repeat your other popular tweets after some time. 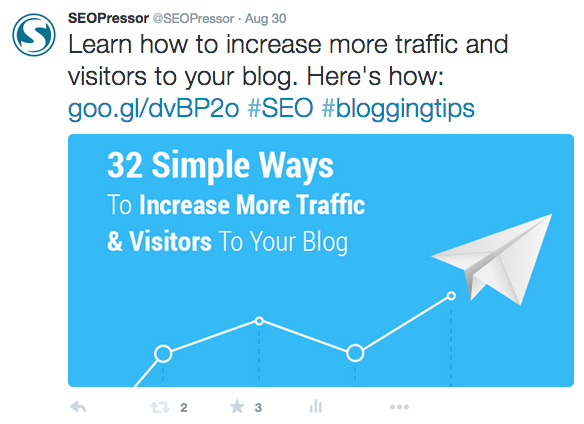 This is to ensure that your popular posts get to reach to more people over time. Monitor your Twitter performance by using Twitter Analytics or third party analytics tools such as Bitly, which allows you to track your click through rates. By monitoring your Twitter performance, you’ll be able to identify problem areas and adjust your social media marketing strategy accordingly to ensure that your Twitter campaign is successful. Twitter is a social channel that you do not want to ignore. It is simply too useful in helping to build brand recognition as well as to generate leads. Use these 20 tips for growing your followers in order to use Twitter as effectively as possible.